HomeEntertainingDreamWorksNetflix Premiere of DreamWorks Trolls: The Beat Goes On! Netflix Premiere of DreamWorks Trolls: The Beat Goes On! DreamWorks Trolls is back! That’s right, our favorite Trolls are back in all new hair-raising adventures. Now in the third season of DreamWorks Trolls: The Beat Goes On! , check out six new episodes of this delightfully musical series premiere on Netflix this Friday, August 24. 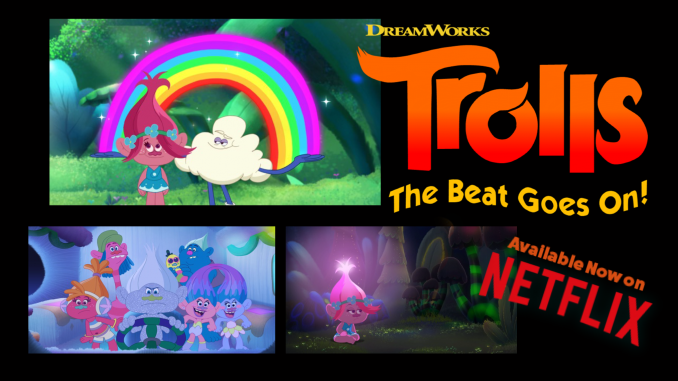 DreamWorks Trolls: The Beat Goes On! returns with the voices of Skylar Astin (Pitch Perfect) as “Branch”, Amanda Leighton (The Fosters, This Is Us) as “Poppy”, Kari Wahlgren as “Bridget”, Fryda Wolff as “DJ Suki” and “Satin/Chenille”, Walt Dohrn as “Smidge”, David Koechner (The Office, Anchorman) as “Buzby”, along with more of the colorful voice cast from the previous seasons. This season includes five new original songs and tons of more fun in Troll Village! 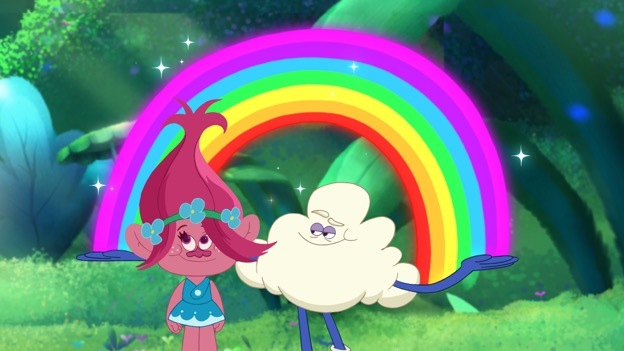 Poppy, Branch and all of Troll Village are back in all new hair-raising adventures in season 3 of DreamWorks Trolls: The Beat Goes On! While Branch must learn the ancient Trolls martial art of “hair-jitsu,” Smidge tries to impress her new crush, the village “critter-narian,” and DJ Suki sets out to stage the most awesome party ever. Hey Buddy!, I found this information for you: "Netflix Premiere of DreamWorks Trolls: The Beat Goes On!". 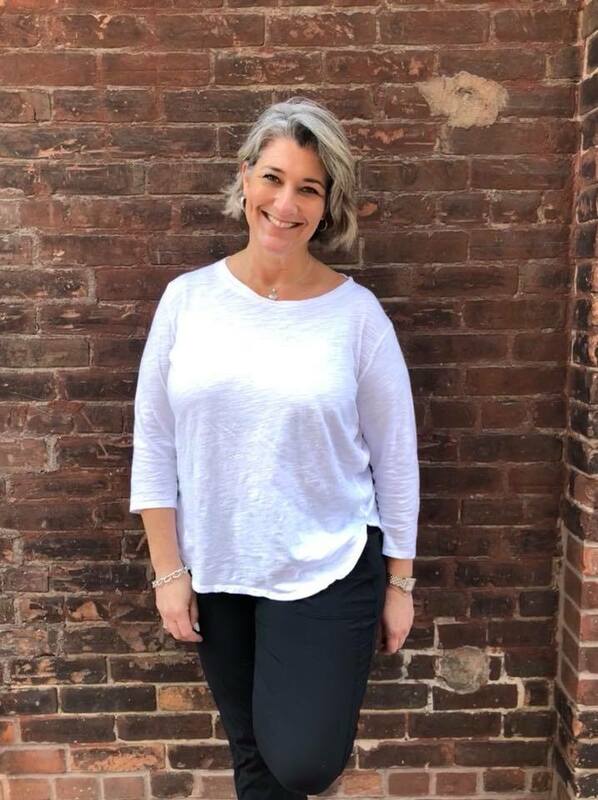 Here is the website link: https://www.trippinwithtara.com/netflix-premiere-of-dreamworks-trolls-the-beat-goes-on/. Thank you.